Take a look at our wide range of full-time courses and apprenticeships. 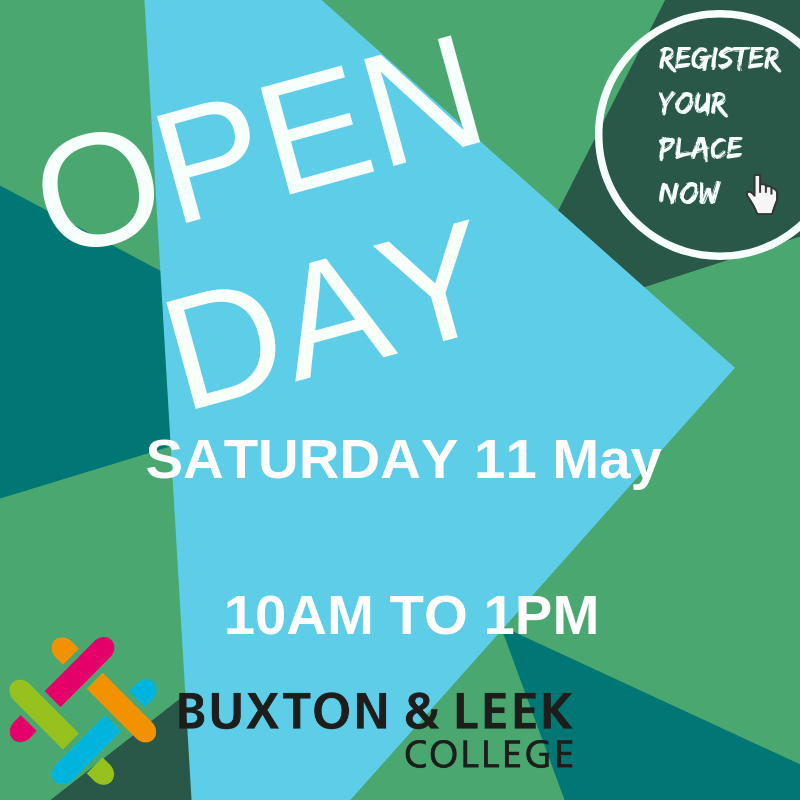 Now is the time to experience Buxton & Leek College. You'll learn job specific skills and have the chance to develop your career from any age! Progress your career, learn new skills or get back into work, we have a huge range of courses designed to work for you. Flexible and convenient courses mean you don't have to travel far to gain a University Level qualification. Staff can brush up on key skills, learn new ones or keep up with industry standards. At BLC there is something for everyone, so we hope you will take some time to find out more! If you want to gain a Higher Education qualification but don’t want to study at University full-time or move away from home, Buxton & Leek College offers a range of affordable and convenient University Level courses on your doorstep. A University Level course studied at BLC can help you achieve a Higher Education qualification, whilst developing valuable work skills and knowledge. Our courses are designed to deliver the latest industry relevant knowledge and skills, which immediately transfer to the workplace. A flexible approach to learning makes it possible to study whilst working full or part time, plus our experienced tutors offer support at every stage of learning. We offer some of the lowest price University Level courses in the region; a range of full and part-time Foundation Degrees, HNDs and HNCs as well as the Certificate and Post Graduate Certificate of Education, across a variety of subject areas. Buxton & Leek College is part of the University of Derby, which is rated Gold in the Teaching Excellence Framework and Top 30 in The Guardian Good University Guide 2019. Being rated Gold means that based on the evidence available, the TEF Panel judged that the University of Derby delivers consistently outstanding teaching, learning and outcomes for its students. It is of the highest quality found in the UK. 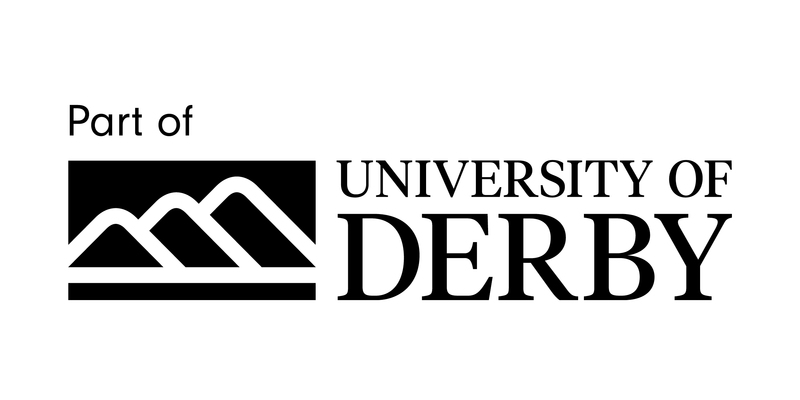 Being part of the University of Derby also means that on completion of your qualification you will attend a Graduation ceremony at the Devonshire Dome and receive a qualification validated by the University of Derby. Congratulations to our class of 2018 who Graduated on Saturday 10th November – you can read more here. 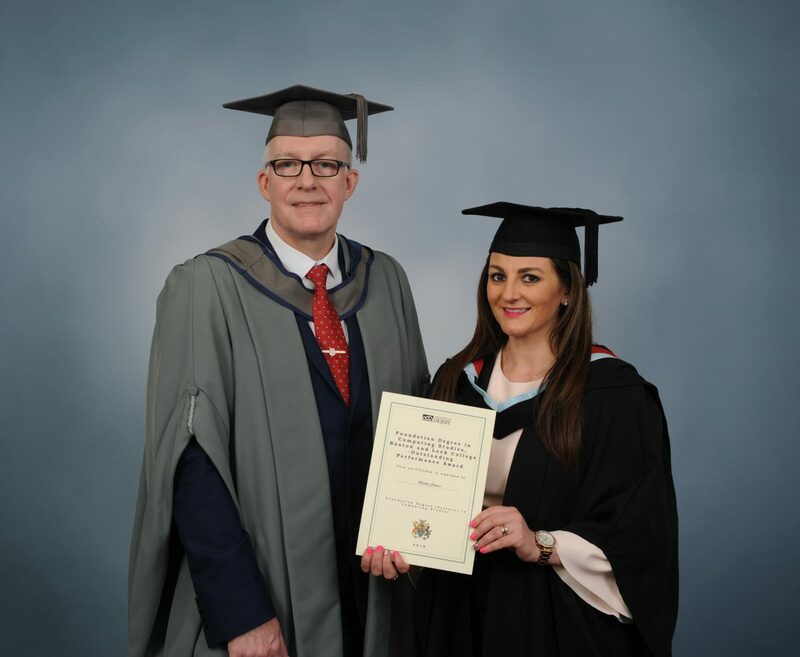 Pictured below is Donna James from Stoke-on-Trent was given an Outstanding Performance Award for her Foundation Degree in Computing, pictured with Len Tidsley College Principal, at the event. If you do not have the qualifications for a University Level course, you may be interested in our Access to Higher Education courses that can be studied at our Derby, Buxton and Leek Campuses. Alternatively, if you want to start studying a University Level course after some time away, you may be interested in our Foundation Programme that can be studied at our Derby campus. The Programme aims to make it possible for foundation degree graduates (and others where appropriate) wishing to progress their studies further, to achieve an honours degree in the area of contemporary art & design. The BA (Honours) Creative Art & Design Practice ‘top up’ year builds upon the unique entrepreneurial ethos and production of contemporary, professional quality work that is initially addressed in the FdA programme. The course seeks to develop and facilitate your independent and experiential learning through a range of opportunities, both project-based and self-directed in a stimulating and exciting environment. There will be a continued emphasis on your development of a focused, innovative, individual specialist practice within the creative industries, for example; fine art, printmaking, illustration, photography, textiles, glass or ceramics. The course is both academically challenging, developing theoretical awareness of contemporary and vocationally relevant practice with a good balance of creative and academic work, being roughly two-thirds practical and one-third theoretical. There will be a public exhibition as a conclusion to the course and a specific module has been designed to encourage self-promotion in a current creative manner considering online opportunities and the development of entrepreneurial acumen. You’ll study in Leek School of Art which is steeped in art and design history dating back to 1884. Our new William Morris building has state of the art facilities with studio and workshop spaces that are light and spacious and have all the latest equipment. What can I go onto next? Students can go on to postgraduate programmes related to Art & Design as well as progression into teaching. The MA Fine Art at the University of Derby programme is an exciting, challenging and rigorous programme of study that addresses the multifaceted needs of today’s visual artist. The programme will provide learners with the opportunity to engage in taught studio-based research, under-pinned by a strong theoretical awareness of contemporary practice. Past students have progressed to MA’s in Curatorial Practice and Creative Futures as well as PGCE teaching qualifications. This unique entrepreneurship course is for students wishing to establish themselves as contemporary artists, designers and makers. It is aimed at those who wish to add to earlier educational or relevant work experience across a broad range of art, craft and design practice, this may include fine art, painting, printmaking, ceramics, crafts, textiles, surface pattern and photography with the ability to combine both traditional and modern techniques. The course has a good balance of creative and academic work, being two-thirds practical artwork and one-third theoretical written work. The course enables students to develop their art and business skills by way of practical projects and opportunities to create, exhibit and sell their work locally and internationally. Visits to exhibitions, galleries and design fairs, both nationally and internationally, help students see the wider picture of the Creative and Cultural Industries and gain industry experience outside the academic environment. Students have access to the art department’s wide range of resources as well as newly updated cross-college learning resources such as the library and IT based learning with the latest Adobe design software. Visual Studies– Introduction to techniques for visual recording, including; drawing, printmaking, photography & Photoshop. Applications of Art & Design Practice – Introduction to techniques, including; ceramics, glass, resin & textiles. Introduction to Professional Development Planning – Production of a Case study to support event planning for exhibiting own work. Visual Realisation- Generating ideas and a proposal intended for development of a chosen specialism. Applied Art & Design in Context -Deepen practical application of skills in a professional context. Individual Specialist Development – Practical work developing and deepening own chosen specialism. Personal and Professional Development Planning – Self-promotion material- progression planning for those wishing to go on to level 6 BA (hons). Entrepreneurial Practice – Group curated exhibition and funding/sponsorship applications to support the exhibition. BTEC National Diploma in Art and Design or equivalent. For mature students there are flexible entry requirements with an interview with the Admissions Tutor, where you will be required to bring along examples of their work. What can I go on to do next? This course is equivalent to the first two years of a full BA (Hons) degree. Successful students may progress to a BA(Hons) Top Up in Creative Art & Design Practice here at Leek School of Art or other Art Degrees dependent on interview and a portfolio of work. This course is designed to provide a broad based introduction to studying computing at a higher education level. It has a strong work based focus and has been designed to reflect the diverse range of skills and technologies found in modern ICT industries. Students will develop a broad range of practical skills in networking, programming, application and web development underpinned by academic knowledge and an understanding of software engineering and computing science. Therefore, it is expected to appeal to students from a variety of computing disciplines as well as those seeking employment in ICT. Specifically, this award provides a sound basis for a career in systems development, web design, network management and hardware maintenance. A variety of assessment methods are used on the Foundation Degree in Computing. The aim is to use the most appropriate assessment strategy for testing the achievement of the module’s learning outcomes. Assessment of conceptual knowledge and understanding is likely to be in the form of essays, written reports, case studies, presentations and exam questions. Assessment of practical skills and the application of knowledge is typically assessed by skills tests, a portfolio of evidence or the construction of a solution to an identified problem. Problem solving techniques generally require the production of design and analysis documentation. Entry requirements are variable but should include any Level 3 qualification in a related technical subject and 4 GCSE passes including Maths and English. Mature students are welcome and there are flexible entry requirements for those over 21 with relevant industrial experience. After completion of this course you’ll be able to progress onto a BSc (Hons) degree in Computer Programming or Software Development at the University of Derby. This course introduces you to the core range of business and management subjects, including human resource management, accounting, marketing, economics, operations and business planning. Not only will you learn about these areas, and how they all integrate and function together, but you’ll see and learn how they can be applied to real business situations. You’ll develop an approach that is both questioning and reflective. You’ll develop your innovative and entrepreneurial skills and your personal skills including report writing and presentations, research, individual and group working skills, leadership skills and your self-confidence. All of which are vital in any business role. During the second stage of the course you’ll learn more advanced techniques. You’ll be supported throughout your time here by your personal tutor who will make sure your learning stays on track and can also help tailor your studied depending on your careers aspirations. This all means that you’ll have a wealth of knowledge to take into your employment, or you can carry on studying and top up your HND to an honours degree in business, marketing, enterprise, finance or human resource management. During this course you’ll cover all aspects of Business including Management in Practice, Accounts and Economics, Operations, Marketing, Understanding People in Organisations along with undertaking a Business Simulation Activity. Plus GCSE Maths and English (or be willing to work towards). Mature students are welcome. There are flexible entry requirements for those over 21 based on an interview with the Admissions Tutor. On completion of the HND you’ll have developed a sound understanding of all business functions and how they integrate and function together. As well as theory, you’ll develop skills from group working skills and being about to organise and prioritise your workload, to attention to detail and problem solving skills. All will increase your employability in a competitive job market. This 120 credit Level 5/6 qualification enables you to achieve a full qualification to teach in the FE and skills sector (Post 14). This qualification is validated by the University of Derby and taught at our Leek and Buxton Campuses. You can choose a specialist pathway in key skills, maths, English or special educational needs. However, these specialist pathways are for graduate candidates only. This course is designed for anyone who is teaching Post 14 learners, paid or voluntary, in an FE setting, training establishment, special school, an academy, prison or young offenders institute. The course is also suitable for learners who are trainers as part of their role or current teaching assistants. Entry Requirements at least a Level 3 qualification in a subject relevant to your teaching specialism. A Level 2 qualification or equivalent in English. A Level 2 qualification or equivalent in Maths. 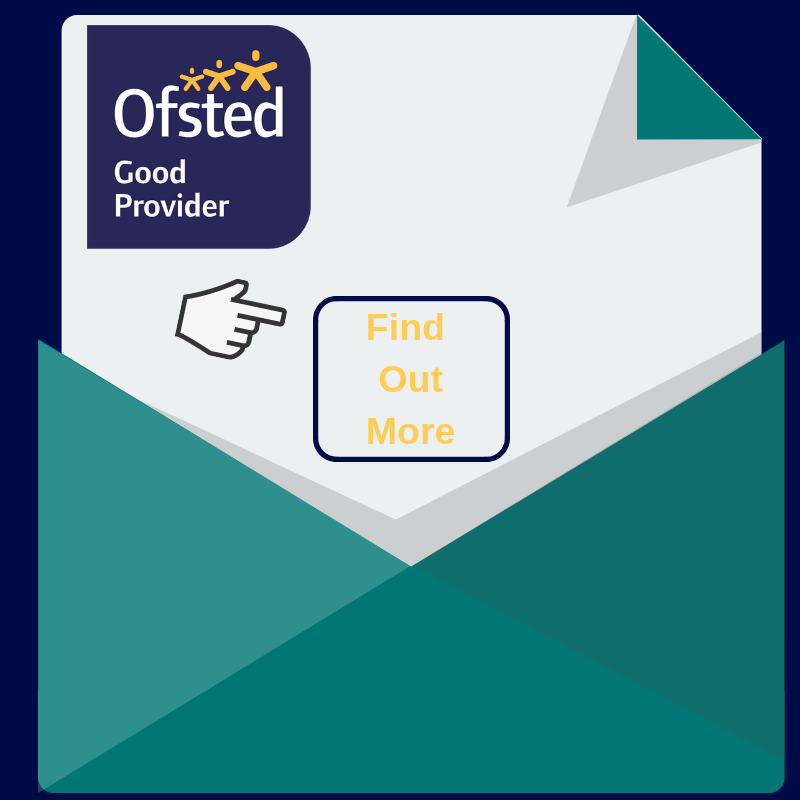 Assessment methods including coursework, observations of teaching practice, self-evaluation, reflective tasks, written assignments, presentations and some group tasks. You’re required to undertake research and write in an appropriate academic style using Harvard Referencing systems. All assessments require you to apply theory to your own practice and you are expected to engage with learning theory. This course offers a strong foundation for professional development. If you achieve a Level 5 Certificate of Education and wish to progress to graduate status, you may be able to top up to a BA (Hons) Education. The course is designed for Foundation Students who now wish to achieve a full BA (Hons) degree on a part time basis. Students can still be employed and attend College for one evening a week. They must be in a school placement for at least two days a week, which can be voluntary. The programme analyses various elements of the education world today and builds on the knowledge and skills the learners have already acquired from degree level study. The learning sessions are based round seminars, discussions, research and practical activities. A Foundation Degree passed with grades above 50% and 240 credits. All of your work will be assessed by essays, reports, a research study and presentations. Students may wish to think about working towards full teacher status or management roles in other areas of education. This existing Foundation Degree is a qualification which has been designed for teaching assistants who are currently working (paid or voluntary) in any type of school. You’ll study part time to gain a nationally recognised qualification, building on experience, with a focus on extending knowledge and developing practical skills. The Foundation Degree builds on your work experience and will involve support from your employer via a mentor. The Foundation Degree is validated by the University of Derby and will be delivered by the College in partnership with the institution. 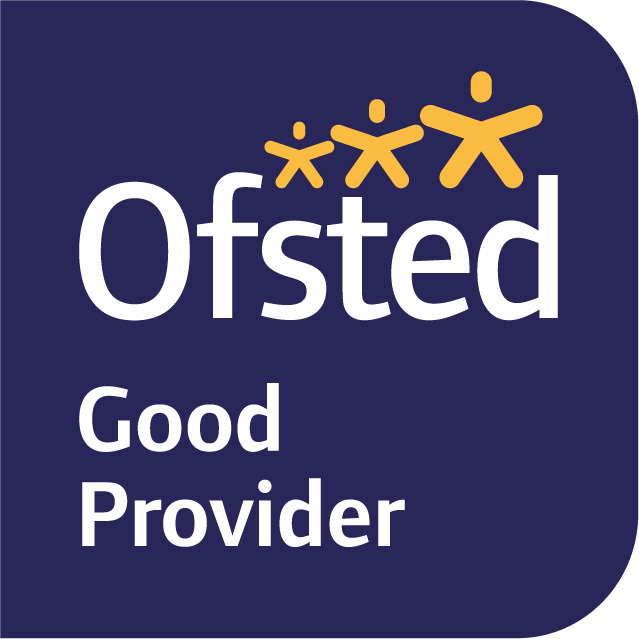 It’s open to Teaching Assistants from all types of schools (first, primary, secondary, private, special and colleges). The Foundation Degree is work based and many tasks are carried out in the workplace with the support of a school based mentor. Time also has to be allowed at home for research. A level qualifications will be considered. It is assumed that the student is working in a school for at least two days each week, paid or voluntary. The Foundation Degree counts as 240 credits towards a full Honours Degree. Afterwards students may wish to study for a full Honours Degree and begin a Teacher Training qualification. The Foundation Degree is validated by the University of Derby and will be delivered by the College in partnership with the institution. It is open to Early Years practitioners from all types of early years settings who would like a degree. Starting to Study, Early Years Provision and Practice, Work based Reflective Practice 1, Equality and Diversity, Integrated Services, Children and Young People Communicating, Work Based Reflective Practice 2, Understanding Behaviour, Working with Parents and Carers, Research Methods and Practice, Secondary Research and Children’s and Young People’s Family Rights. If you do not have these qualifications and are over 21 and have relevant work experience, entry requirements are negotiable. It is assumed that the student is working in a school for at least 2 days each week paid or voluntary. The course will be assessed through the use of work based activities including presentations, essays, case studies and portfolios. The Foundation Degree counts as 240 credits towards a full Honours Degree. Students may wish to study for a full Honours Degree and begin a Teacher Training qualification. This qualification has been designed for practitioners who are currently employed (either paid or voluntary) in a health and social care setting. The Foundation Degree builds on your work experience and will involve support from your employer via a mentor and gives you the chance to earn whilst you learn. The Foundation Degree is validated by the University of Derby and will be delivered by the College, by tutors from a vocational background. It is open to practitioners from all types of health and social care settings. The Foundation Degree is work-based and many tasks are carried out in the workplace with the support of a work-based mentor. You’ll also need to allow time at home for research. At each stage you will study the core modules, which are to be confirmed, through work based activities, creative presentations, discussions and research. Five GCSE grades C or above, one of these must include English. A relevant and current Level 3 qualification such as the BTEC National Diploma, NVQ Level 3 in Health and Social Care or equivalent. If you do not have these qualifications, are over 21 and have relevant work experience, the entry requirements are negotiable. Students should be working in a health and social care setting for at least two days each week, paid or voluntary. The Foundation Degree counts as 240 credits towards a full Honours Degree. Students may wish to study for a full Honours Degree in Education, Early Childhood Studies or Health and Social Care upon competition of the course. What qualifications will I get? Entry Requirements at least a Level 4 qualification in a subject relevant to your teaching specialism. Applicants for the PGCE status must have evidence of at least an honours degree (2:2 classification) relevant to their teaching specialism.